Can Shakespeare theatre in Stratford (Connecticut) rise from the ashes? British and Canadian theatregoers perusing social media may have had quite a start when they saw news that a Shakespeare theatre in Stratford had burned to the ground. Their shock will have turned to relief no doubt, when they learned that both the Royal Shakespeare Company and Stratford Festival facilities were safe. However, for two generations of theatregoers in the northeast of the US, the loss of the American Shakespeare Theatre (also known as the American Shakespeare Festival) in Stratford, Connecticut will have been cause for grief, even if the theatre hasn’t been in operation for three decades, standing dormant on its bucolic riverside patch of land. When it opened in the mid-1950s, the American Shakespeare Theatre was a big draw. Reports on its demise note that in its heyday it was the second most popular tourist attraction in the state. 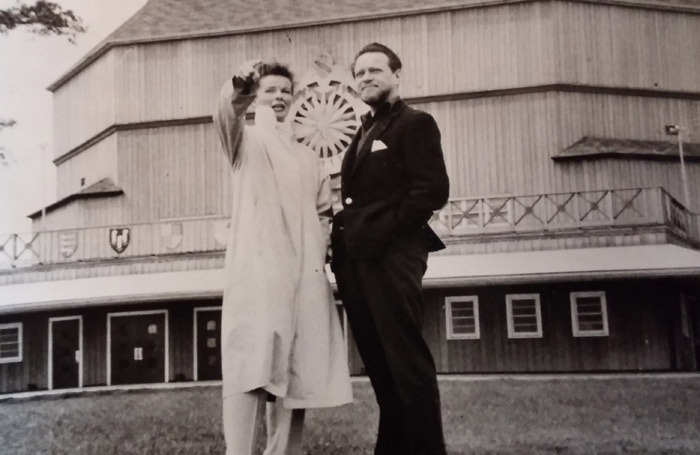 Countless high-school students saw their first Shakespeare productions there, with often starry casts, including luminaries like Katharine Hepburn, Roddy McDowell, Helen Hayes, and Maurice Evans in its early years and, even at the end, Christopher Plummer, James Earl Jones and Christopher Walken. But the 1,500-seat house was scaled like a Broadway venue, and the 1960s saw the rise of the regional theatre movement with more intimate venues of around 500 seats opening around the country. Connecticut’s Goodspeed Opera House – long mothballed – reopened in 1964, the same year Hartford Stage was established; they were followed by dual companies rising up in New Haven, Long Wharf Theatre in 1966 and Yale Repertory Theatre in 1967. By the early 1980s, the regional companies were booming and, having lost its prime backer philanthropist Joseph Verner Reed in the 1970s, the Stratford theatre couldn’t sustain its economic model. Operations effectively ended in 1982, with a last gasp attempt to resuscitate the facility in 1989. The last show was a one-man version of The Tempest, Stuff as Dreams Are Made on. Ownership of the building passed to the state, which eventually handed it back to the town. While various proposals were floated to reopen the theatre – often in combination with retail, hotel or housing developments – none came to pass. 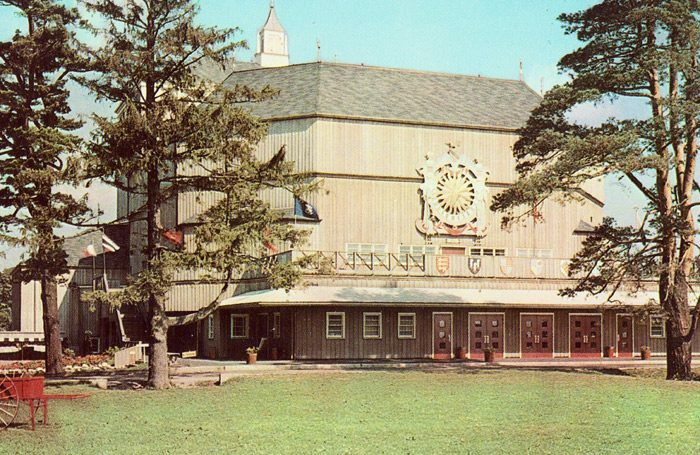 Lawsuits and political debates became the only theatre around the giant wooden venue. The fire this past weekend, while taking a building beloved by many, does not now have any real impact beyond the emotional and historical. Of course, there are still business around Stratford, such as liquor stores and dry cleaners, which have Shakespeare in their name as a result of the theatre. There will be those who believe that the American Stratford should regain its place alongside its English and Canadian namesakes by staking a claim to classical theatre. I am on record – thanks to The New York Times quoting my Facebook page – as saying that I think the site may be lost to theatre forever, unless insurance provides the funds to raise a more appropriately scaled venue from the ashes. Some educational programs which have recently sprung up may survive. Might the fire actually galvanise a group to action to re-establish Stratford, Connecticut on the theatrical map? The theatrical environment in the area today does not want for quality work, but has seen audiences contract overall. So, sadly, hope for a larger world of Shakespeare in the little town will most likely be snuffed out for good, like its last ember was five days ago. On Thursday, Arena Stage in Washington DC opens a politically oriented play that looks not at the current state of the US, where drama plays out daily in the theatre’s own backyard, but at the relatively recent past of Russia. Kleptocracy looks at the relationship of a rising oligarch and another young man on the move – Vladimir Putin. Jackson Gay directs the new work from Kenneth Lin, a writer for the US version of House of Cards.